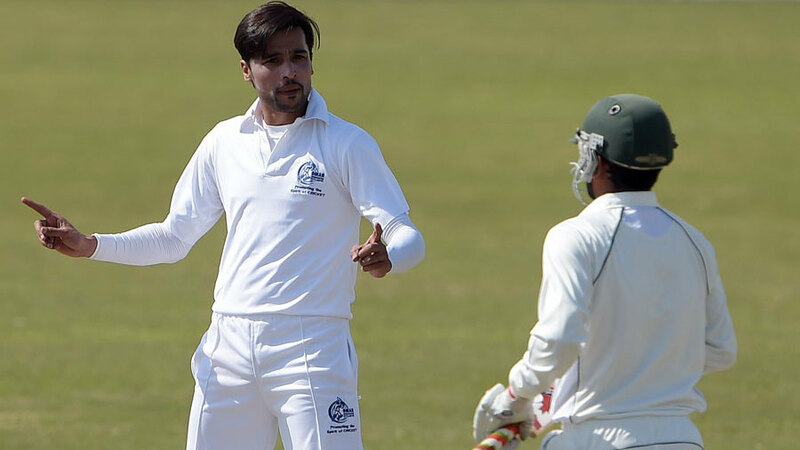 Just when things were looking great and a soon to be international comeback for Mohammad Amir looked likely, the youngster got himself involved in an on field controversy which will raise further doubts. Amir has been fined 150% of the match fee as a result of breaching disciplinary code of conduct. He was playing playing for Sui against PIA in a qualifying game for the Quaid e Azam trophy on Thursday when this incident took place. This comes as a disappointing and unfortunate incident for any Amir fan, because not only has he just been back from a lengthy ban, but he has also been in great domestic form ever since. In three games for Sui Northern Gas, Amir has claimed a whooping 27 wickets to his credit. According to a Pakistan Cricket Board official, Amir was penalized for breaching two different actions, which led to the 50 and 100 percent fines. The spat was with Pakistan International Airlines batsman Faisal Iqbal, who also saw a 50 percent match fee fine go against him. However, following the game, Faisal declared he was only warned, but never fined. Mohammad Amir is in fine form for his domestic side and that our great signs if he expects to make it to the Pakistan side anytime soon. But at this moment in time, his behavior is a massive worry. Any more slip ups and loose incidents cannot be afforded by him, that is for sure. Another similar domestic incident saw Mohammad Irfan get fined too for getting involved in a row against the umpire. Irfan was playing for Khan Research Laboratory against State Bank of Pakistan in Lahore, when he was spotted by a camera which portrayed the fast bowler altering the condition of the ball. The manager of the opposing team, who brought up the issue, was also handed a fine.